Saraki and Fayose sure had a good time at Atiku’s Campaign which was held in Plateau state some days back. Who Do You Think Killed The Dance Better – Saraki or Fayose? For Me:- Saraki is a better dancer. His moves at end is a killer. All these people know as e dey go for street but they just won’t support. The post FLEXING!! 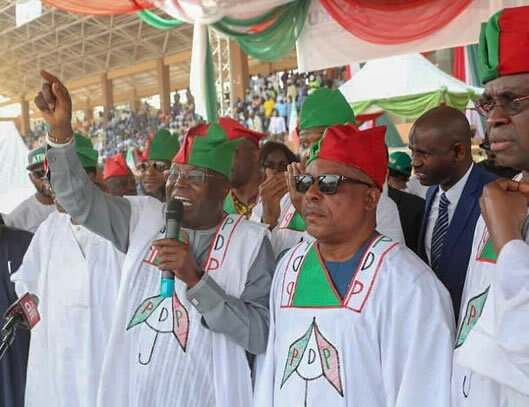 Saraki & Fayose Spotted Doing The Shaku Shaku Dance As Atiku Campaigns In Plateau State (Video) appeared first on Naijaloaded | Nigeria's Most Visited Music & Entertainment Website.